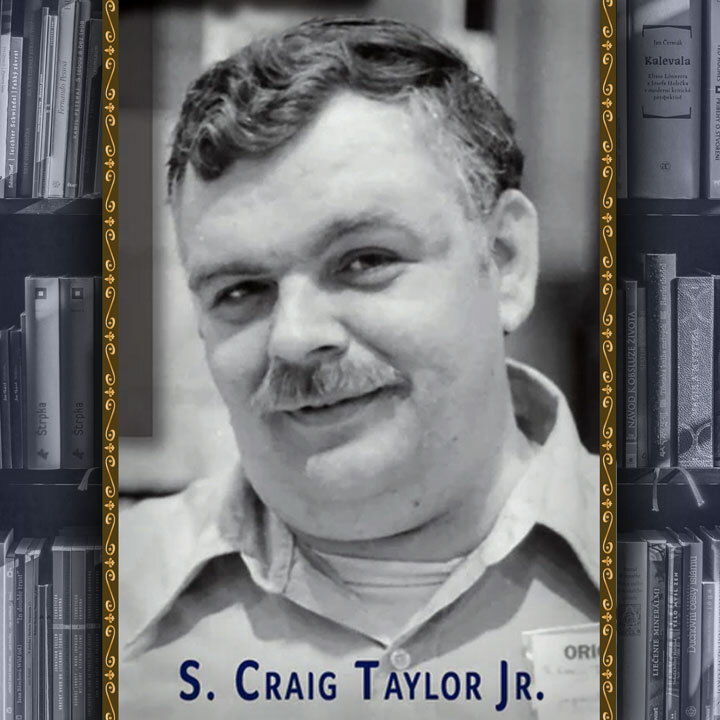 I first met S. Craig Taylor Jr. at a Yaquinto Publishing play test day on a Saturday in 1982. Some friends and I drove over to Dallas Texas where Craig was putting on a massive playtest of Panzer. It was a treat to meet a famed game designer and publisher. Over the next three decades I made the transition from fan to friend, being invited to play at his weekly game nights. One evening he digs back into his closet and pulls out one of his earliest games, Rally Round the Flag, a regimental civil-war scale miniatures game. We had a great time with it, and Craig was unusually lucky that night and managed to roll rather even. Craig is famed for lousy die rolls and great game designs. It was some time after that around 2002 that we formed Lost Battalion Games. This was after we had both completed our employment of MicroProse and with the IPO successful we had a chance to pursue a different idea in game publishing. What if the games that computers can do could be designed for and delivered on your table as table top games? Our vision was simple in concept – Games like Gettysburg and Sergeants had never been built before because they could not be done by traditional manufacturing systems that were using the latest innovation of the Gutenburg Press circa 1440 A.D. Games like Rally Round the Flag simply could not be done using marketing, manufacturing and distributions systems that limited. So for around 10 years we developed that ability to build these new kinds of tabletop games. During that time Craig asked Debbie (our president and investment banker) about starting a project that he had been thinking about since he was a teenager – Rally Round the Flag. She understood the vision and his passion for the American Civil War and approved his design for development. Craig had already done some truly epic designs before Rally Round the Flag. Any of us that played Napoleon’s Battles, or Flat Top to name only two of them know his level of research and detail. But Rally Round the Flag was this titan of game designers' magnum opus. It had been about three years since Craig had gotten Debbie’s approval for the project and we were in the car on the way to a game convention in Augusta Georgia – Siege of Augusta, and I asked him how Rally was going, he replied – “It’s going well but I cannot make up my mind as to whether to finish the design at regimental or brigade scale.” A 5 hour discussion ensued about whether to do the brigade scale like Napoleon’s Battles or set the game at regimental scale like the original Rally Round the Flag miniatures rules. We were still a year away from unveiling Sergeants Miniatures Game and the idea of fully variable production was just being applied to our manufacturing. I convinced him to not choose one or the other but rather to do both. Considered one of America's greatest historical artists, Mort Künstler is known for the extraordinary authenticity and drama of his work. 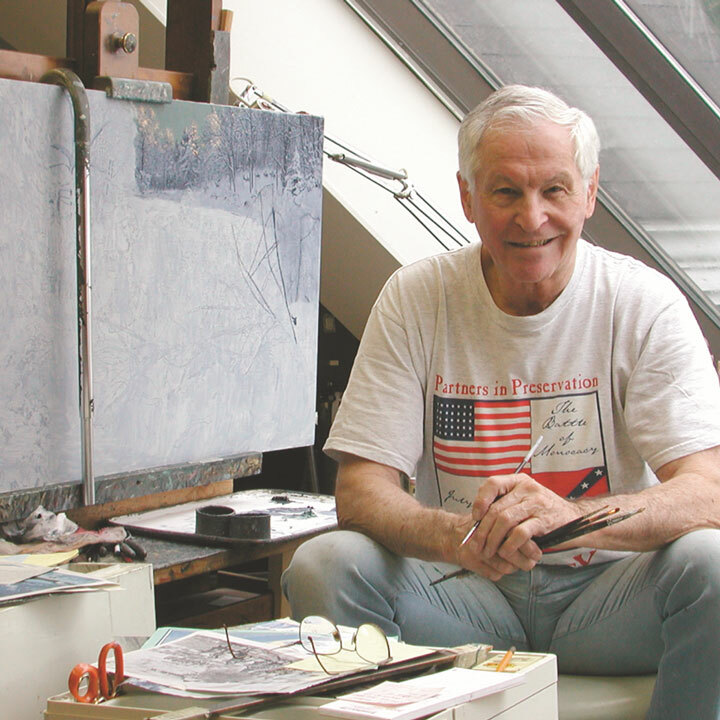 He has created paintings that educate and enrich the viewer's understanding of some of the most important events in American history. Künstler was born in Brooklyn and studied art at Brooklyn College, UCLA, and Pratt Institute and became a successful illustrator in New York where he received assignments from book and magazine publishers. His work with National Geographic Magazine taught him the value of working with historians, who could provide important facts to further the exactness of his art. In 1982, a commission from CBS-TV to do a painting for the mini-series The Blue and the Gray directed Künstler's interest toward the Civil War. His research was painstaking and ensured that his painting The High Water Mark was meticulously correct. In 1988, the work was unveiled at the Gettysburg National Military Park Museum to celebrate the 125th anniversary of the battle. This work led Künstler to concentrate on the Civil War. Künstler’s dramatic and beautifully crafted images have been the subject of nearly thirty books. His paintings are in the permanent collection of over fifty museums, and have been in over fifty museum and gallery one-man exhibitions. Mort Künstler lives in Oyster Bay, New York.